Monday morning, August 18, opened with dramatic skies when Susan and Gerald Wilgus met our leader, Harold Lassers at the Betsie River Canoes and Campground. Talking with Mark, who has done a good job of clearing the section from King Road on down, revealed that typical summer levels were finally present and the section above that put in has many portages due to downed trees. Not wanting to do kayak hiking, Susan and I voted for the section from King Road to the campground and Harold, in his usual laid back style, agreed. So, with Betsie River C&C doing the shuttle, we were off. 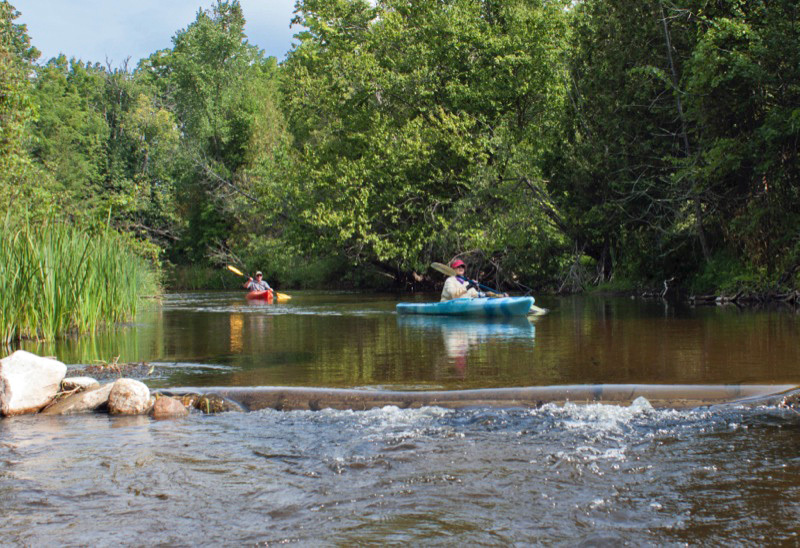 The moderate water level meant maneuvering around shallow gravel bars in nice clear water. Any slight obstacles were easily dodged on this very relaxing trip. 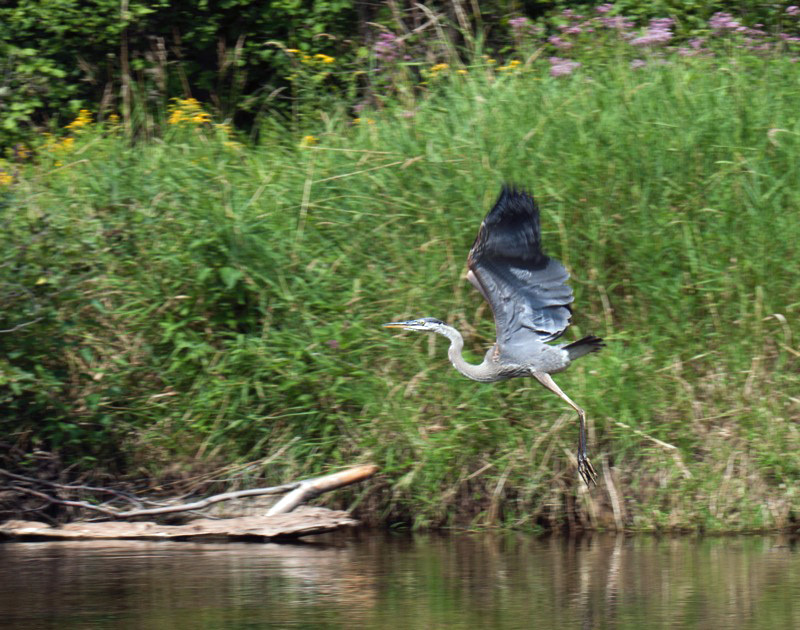 And, as usual on our rivers, we continued to have a Great Blue Heron fly downstream to await another encounter.